Real-time action in the comfort of your home. 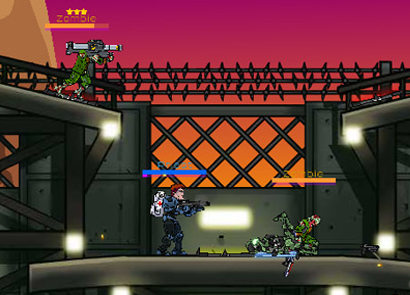 Raze is a side-scrolling shoot-’em-up flash game packed with danger and excitement. If you enjoy playing shooter games, then you’re sure to spend hours of fun with this game! Check it out now! At the start of the game, you’re asked to create your user profile. This feature indicates that the game will automatically save your progress! There are multiple customization options available while you’re creating your profile including customizing your character’s appearance, choosing a username, and selecting from several different personality options for your character. The personality of your character will determine what type of comments he will make throughout the game! In addition to these options, in this panel you can also view your player statistics, although when you first begin, you won’t have any player statistics. You can easily come back to this panel at any point in time by visiting the main menu screen. Raze is so customizable, you can even choose the key controls you use throughout the game! Choose between using the W, A, S, and D keys to move around the screen, or you can use the arrow keys as well. 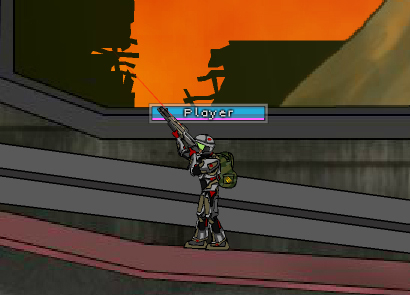 In addition, you will need to use the mouse and left mouse button in order to aim and shoot your weapons. To jump, press the spacebar. To switch the weapon your character uses, you can either use the number keys 1 through 0, press the Q and E keys, or press the Enter and Shift keys. Tap your Ctrl or P keys to pause the game, and to check your score simply click the Tab button on your keyboard. Once you’ve created and customized your character, you can begin playing the game. Raze offers two key ways to play – Campaign mode and Quick Match. 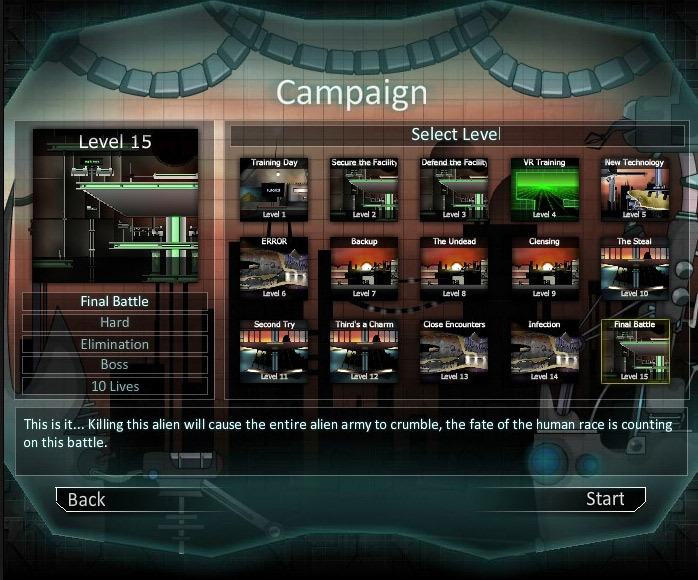 The campaign mode offers two main categories – Humans and Aliens. Each of these categories are packed with over 10 action-packed levels. 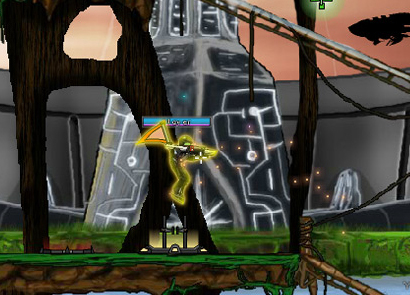 The Human mode is the one where players initially begin. In this mode there are a few brief tutorial modes that you can complete to get more familiar with how to play the game and use the controls. The Aliens mode is only unlockable after you’ve completed all of the levels in the Humans mode. The Quick Match mode will unlock after you have completed the tutorial levels. In the main menu screen, you will find many options, including customization options! Customization options include four graphic settings and toggling the music and sound effects on and off. There are seven key buttons to view on the main menu. 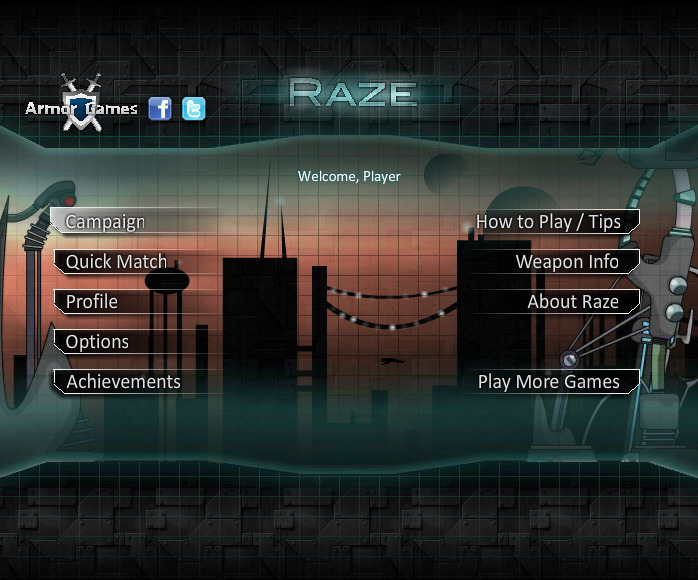 Raze is packed with goals and achievements for players to try to achieve! There are a total of 10 achievements listed in the Achievements panel. Some are quite easy, while others can be extremely hard to get. Like a Boss – Get the top score in a death match on the hardest difficulty. 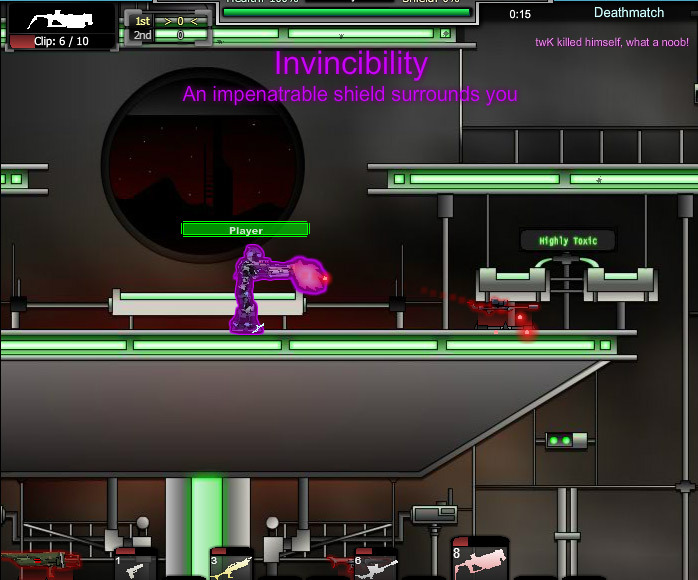 Untouchable – Complete a quick match on medium or harder with twice as many kills as deaths. War Hero – Complete the human campaign. Conqueror of Races – Complete the alien campaign. Boom, Headshot! – Get 50 headshot kills. Addicted – Play a total of 50 matches. Mmmm, Pistol Whip – Complete a match using only your pistol. 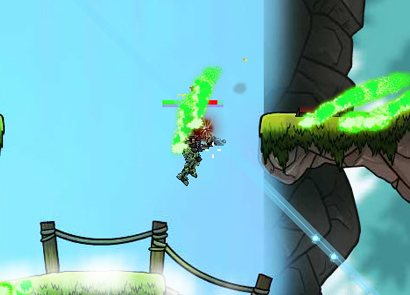 Death from Beyond the Grave – Kill an enemy while waiting to respawn. Indecisive – Get a kill with every weapon in one game. 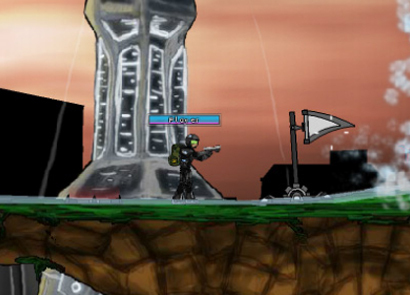 Return to Sender – Kill an enemy with his own sticky grenade that is stuck to you.